The Tree Man, Bangladeshi , Abul Bajandar, is rejoicing after surgical treatment for the extremely rare Epidermodysplasia verruciformis disease. 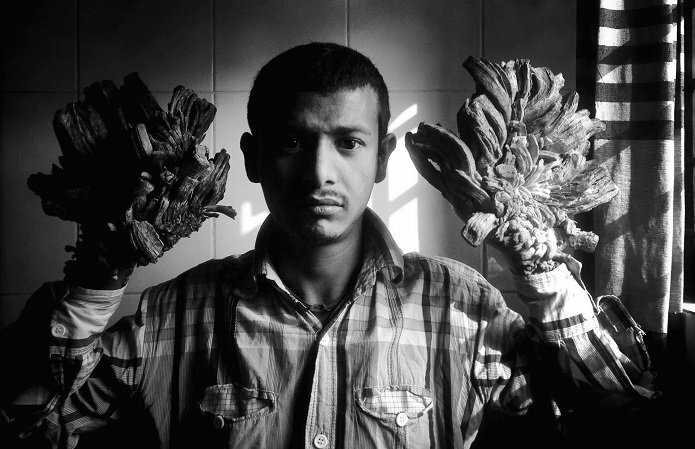 The pioneering surgery has resulted in Abul Bajandar regaining the use of his hands and feet. The tree man disease is the colloquial term for Epidermodysplasia verruciformis or Lewandowsky–Lutz dysplasia an extremely rare genetic skin disorder. Symptoms of the disease include eruptions of warts and horn-like lesions across the body. There are only 3 people in the world currently known to be suffering from the condition. The tree man phenomenon gained international notoriety in 2008 when a documentary featuring Indonesian, Dede Koswara, was aired by Discovery Channel. The documentary-makers flew American dermatology specialist Dr. Anthony Gaspari, from University of Maryland, to meet Dede. Dede Koswara is commonly thought of as the ‘original’ tree man and further documentaries have since followed. Dede’s condition remained untreated for 20 years after a cut received when he was 15 years old became infected. Unlike Abul Bajandar, Dede’s wife left him and his two children. Dede, also known as the Tree Man of Java, lost his job plunging the family into poverty. Desperate, Dede appeared in a local freak show to earn money for his family. Dede Koswara, finally succumbed to the disease at Hasan Sadikin hospital in Badung, Indonesia, on the morning of January 30. Dede Koswara, the original tree man, was only 42 when he died. For Abul Bajandar, the first signs of the disease appeared when he was 16 years old, before he met his wife Halima. At the outset Abul dismissed the warts covering his hands and feet as harmless. Taking matters into his own hands he attempted to cut the warts off himself. This was excruciatingly painful for Abul. Attempts with herbal medicine were also unsuccessful. 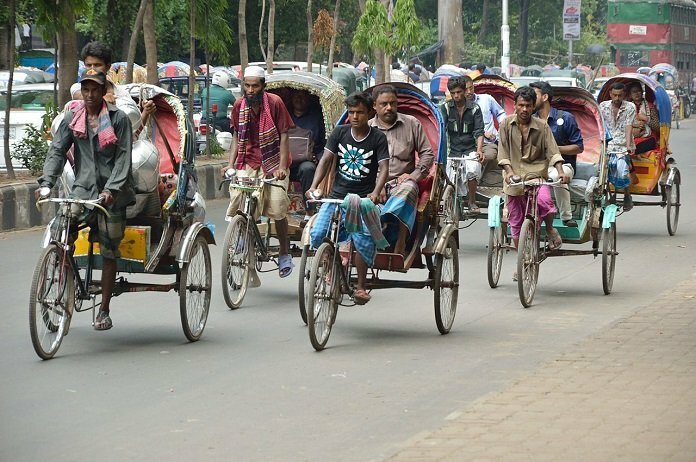 Abul’s condition worsened over the following years forcing him to stop his work as a rickshaw driver. Despite this, Halima remained loyal to Abul and the young couple married contrary to her parents wishes. Travelling to India seeking specialist care failed. The family could not afford the cost of multiple surgeries. Finally, Abul’s fortunes began to change when media exposure highlighted his plight around the world. The resulting publicity prompted well-wishers to send donations helping with the cost of treatment. More good news soon followed. Bangladeshi Health minister, Mohammad Nasim, announced that Abul’s treatment costs for the tree man disease would be funded by the Bangladeshi government. During Abul Bajandar’s treatment, his family from Khulna in Southern Bangladesh, had to move 300km north to the capital Dhaka. 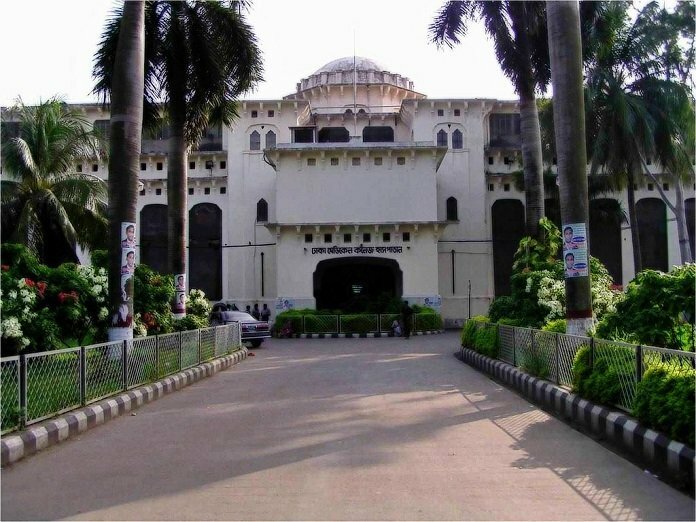 The Bajandar’s stayed together at Dhaka Medical College whilst Abul underwent a series of surgeries. 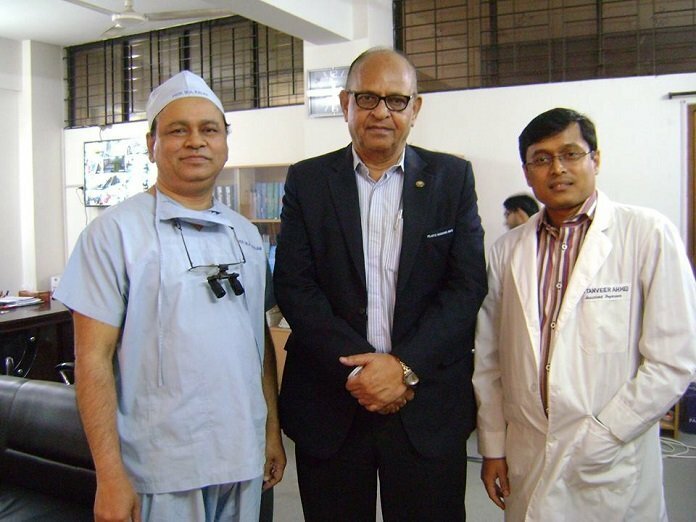 The medical team was led by renowned burns specialist and plastic surgeon Dr. Samanta Lal Sen. Dr. Sen is currently Chief Coordinator of all Burn projects in Bangladesh, based at Dhaka Medical College. Dr. Sen said: “The hands and feet are now almost fine. He will be discharged within the next 30 days after a couple of minor surgeries to perfect the shape of his hands.” Dr Sen added that if the warts don’t grow back he’ll be first person to recover from the disease. The future now looks a lot brighter for the Bajandar family. Abul Bajandar plans on using the donations he received to set-up his own business when he gets the all-clear to return to work.